There was a time when the neighborhood was the ultimate playground. Kids would hop on their bikes on Sunday mornings, wave goodbye to their parents, and simply promise to be home in time for dinner. There was a time when the neighborhood was the ultimate playground. Kids would hop on their bikes on Sunday mornings, wave goodbye to their parents, and simply promise to be home in time for dinner. No Wi-Fi, no phones, no tech. This was how I grew up, making me an analog parent, like many of you! And of course, I've adjusted, and computers and devices are part of my every day existence, but when my phone suddenly locks up or I can't figure out the latest iPhone upgrade, I don't call tech support -- I hand it over to one of my daughters (or anyone who's at least 30 years younger than me). Kids are not growing up in an analog world the way we did. Tech is all around them, and they can learn and understand how to utilize it from a very young age. It may feel strange to buy a 5-year-old a tablet, or hand over your iPad so kids can scan their Crayola coloring book pages into an app and bring them to life, but letting kids get hands-on with cool tech toys has a ton of benefits. Technology makes things better, faster, and more efficient -- and it's not going anywhere anytime soon. Exposing kids to tech early allows them to sharpen their skill development and enhance their familiarity with devices they will be using for the rest of their lives. Our children will eventually move into careers where these skills matter, whether they are building robots, coding websites, or creating animation for entertainment. In the "olden days" flip books were so much fun, giving off the illusion of animation. Today, kids can create their own stop-motion videos while learning all about animation with Stikbots (a new social media toy), from Zing Toys. 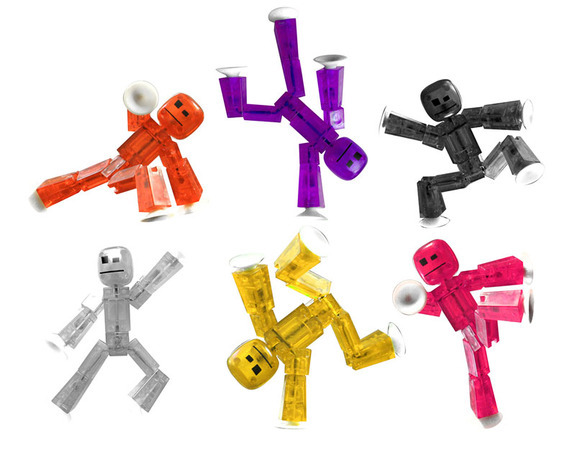 Stikbots are cute little suction cup figures that kids can pose on any flat surface. Once they download the iOS app, kids can snap a photo of the Stikbot, reposition it, and snap another. Once they've taken all of their photos, they can add in some sound effects, and the app pulls it all together into a mini movie. As kids get used to the app, they can bring their own toys and objects into the mix, creating full features that will astound you and then they can share them with friends. While push-and-pull race cars are still around today, WowWee has created a whole new way to play. Rev allows kids to control smart cars via a free app. 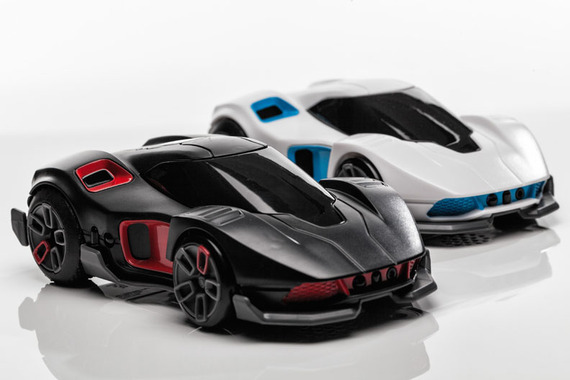 Now kids can race each other or play alone with tracker cars that function through A.I. -- and best of all, you don't need a special track to enjoy race and play with these robotic cars. Kids can play on the bedroom floor, in the kitchen with lots of open space, or anywhere in the house, letting the imaginative fun soar. Did you ever think your kids would be building or programming robots before they were even in double-digits? Spin Master's new Meccanoid G15 KS is a customizable, buildable robot friend designed for kids ages 8 and up. It uses voice recognition to say thousands of phrases, tell jokes, play games, and initiate conversations--it can even retain information, like remembering kids' birthdays. 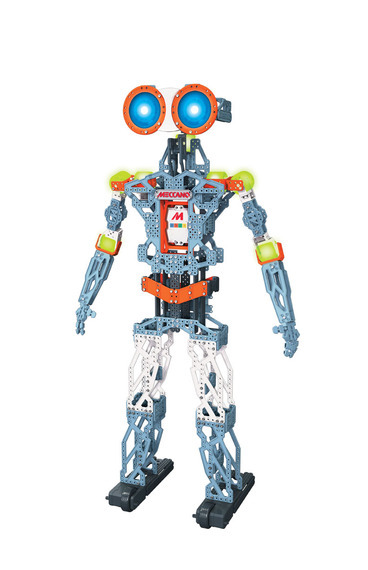 The Meccanoid G15 KS also features Learned Intelligent Movement (LIM), meaning kids can move and speak and the robot will mirror their movements and dialogue. The bot also connects to smart devices via Bluetooth, offering even more ways for kids to program, play, and engage. Tech toys are great learning tools, helping shape kids for the future. However, incorporating tech-based playthings does not mean parents should abandon good old fashion toys and games. Children need a well-balanced toy box more than ever before. Toys teach kids so many valuable skills, such as sharing, turn-taking, patience, dexterity, and more. By adding all of this technology to kids' toy lineup, they will also be able to get the basics of skills like programming down at an early age, becoming prepared for a tech-laden future.